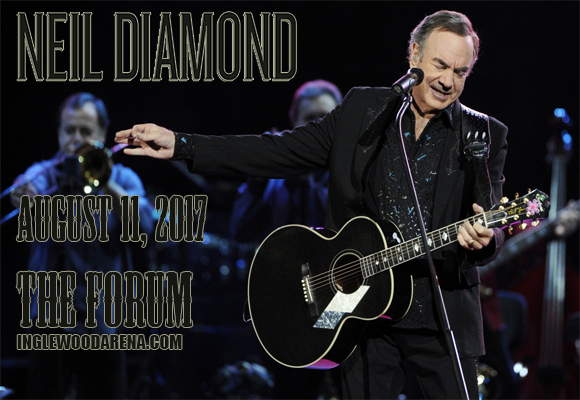 An unparalleled talent, Neil Diamond is one of the music industries most abounding talents, and one of the world's best-selling artists of all time! Now, this legendary singer, songwriter and performer comes to The Forum on Saturday 12th August 2017 for a second night, as part of his 50th Anniversary Tour! Come and enjoy five decades worth of stellar songwriting with this absolute star! Neil Diamond is an American singer, songwriter and musician, who began his music career in the 1960s. Diamond's early songs were often covered by other artists, and "I'm a Believer," which was covered by The Monkees, became a Gold Record within two days of its release, staying at the top of the charts for seven weeks and becoming the Popular Music Song of the Year in 1966. Diamond signed a recording contract that year with Bert Berns's Bang Records, and released “Solitary Man,” his first hit as a solo artist. Diamond is one of the world's best-selling artists of all time, having sold over 120 million records worldwide. He has had eleven number one singles on the Hot 100 and Adult Contemporary charts, and was inducted into the Songwriters Hall of Fame in 1984 and into the Rock and Roll Hall of Fame in 2011. Diamond was also honored with the Sammy Cahn Lifetime Achievement Award in 2000 and in 2011 was an honoree at Kennedy Center.